Fluent in at least seven languages and a writer of ravishing prose accounts of her journeys, Freya Stark was one of the great travel writers of the twentieth century. In 1934 her first book, "Valley of the Assassins", was hailed as a classic and T. E. Lawrence pronounced Stark 'a gallant creature, a remarkable person'. It marked the start of a dazzling career as a writer; explorer and official diplomat which led Stark to explore ancient trading routes in the Yemeni desert, Crusaders' castles in Syria, uncharted regions of Arabia and Alexander the Great's path through Turkey, often travelling alone through dangerous and uncomfortable territories -once having to be airlifted to safety by the RAF. During the Second World War she worked for the Foreign Office in Baghdad and Cairo and made an ill-fated tour of America for the Ministry of Information. She married late -and unwisely -but continued to travel and write well into old age, going to the Himalayas aged 89, and lived to be 100, leaving a legacy of over thirty volumes of travel writings, autobiography and letters. Her life reads like an adventure story, imbued with the captivating spirit of the East. 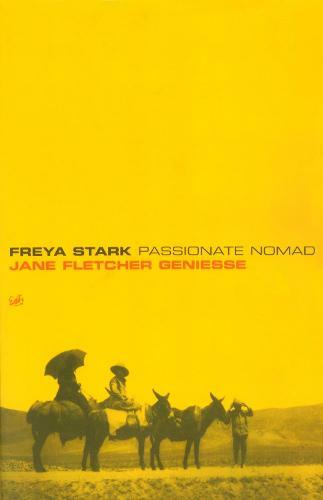 Jane Geniesse's ebullient yet touching account of Stark's life uncovers the complexity and charm surrounding someone who was both hugely feted and yet repeatedly disappointed in her private life -a romantic, a complete original and an inspiration to those who followed.